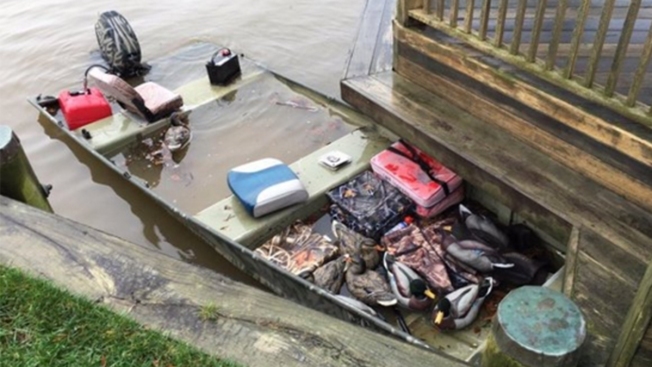 Authorities are searching for what they called a "possible missing duck hunter" on the Potomac River. Maryland National Resources Police (NRP) have been searching for the missing hunter since dawn Wednesday. The boat was found Tuesday about a mile north of the Fort Hunt area of Virginia, said spokeswoman Candy Thomson. The NRP shared an image of the partially submerged boat on Twitter. Authorities are asking anyone who recognizes the boat or has other information to call 410-260-8888. Authorities haven't released further details.